I've been working on a bunch of different thing over the summer. Here is a peek at some of the ways I've spent my days! Postcards for the new kiddos! Super long pointer (aka water squirt-er from Dollar Tree) - great idea Kindergarten Works! This was the kids can reach up high to point to Alphabet or Number cards! Classroom jobs! We'll use clothespins to assign jobs. We are having a "CHILL with your Y5/Kindergarten teacher" event next week to get to know the kids & families! Event will include: slip & slide, crazy sprinkler, popsicles & quality time with your new teacher! Classroom books for Daily 5. I tried to have these organized in different baskets last year, but it didn't work. They will now be organized by level. I made these cute star labels! Printed on address labels & cut in half. 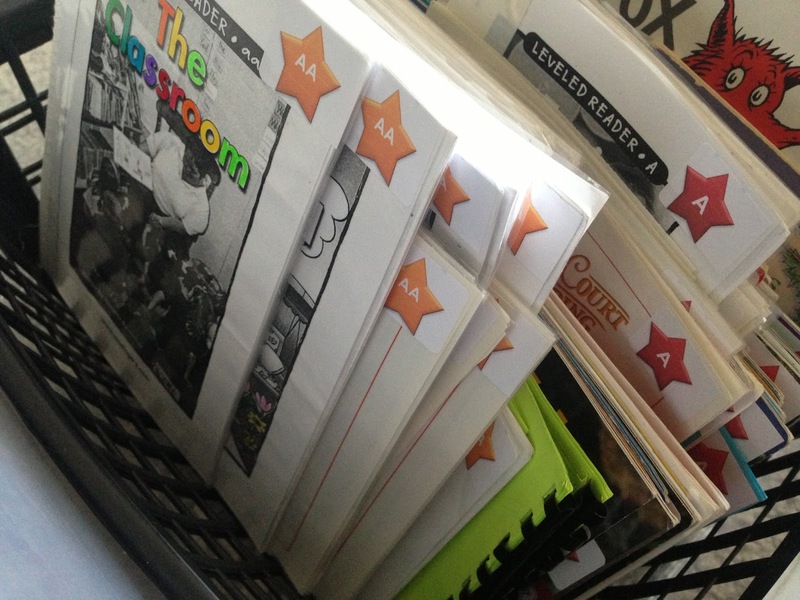 We will also have some non-leveled books organized by subject. Die-Cut #'s 5 & 6 for my kiddos birthday crowns. I use bulletin-boarder to make crowns, then staple these to the crowns. So excited Michigan changed the law and we will have mostly 5 year-olds who are turning 6 this year! This is just the start of a project, more to come later! Great FREE graphics from Ashley Hughes on TPT. We have a School-Wide Behavior System that all classrooms use. I have decided to add reward & consequences to the chart so that the FAMILIES and KIDDOS know what is in store! Red: No Recess + parent contact + after school (handwriting packet) or lunch detention (don't each lunch with friends, have to sit alone). Birthday Balloons! Free download from Once Upon A First Grade Adventure! Sight Word Dominoes- we use Open Court and have our words divided up on "Turtles" (seems kinda silly sight you're supposed to know the words quickly on sight). Here is the document you can use or edit. 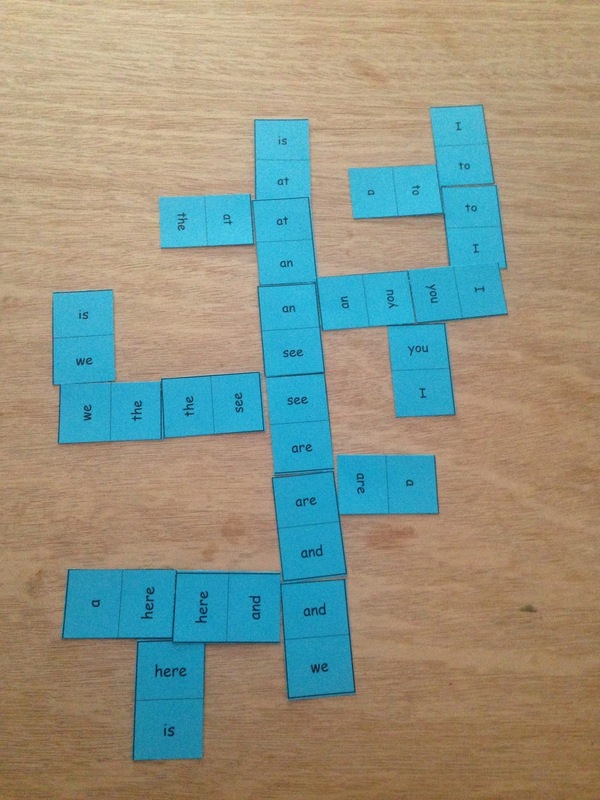 Sight Word Board Games. Again we use Open Court, so the words are aligned to their program.